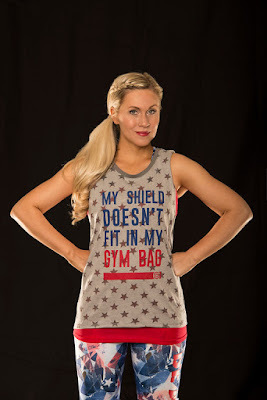 We are huge fans of the Her Universe, the fan girl fashion company created by Ashley Eckstein. Her Universe was created with the idea that sci-fi and comics aren't just for boys. Girls love these out of these world universes too. Her Universe creates clothing and accessories representing some of the biggest name franchises including Star Wars, Doctor Who, and Marvel. Their recent project is an ode to Marvel's Captain America: Civil War ! The collection features looks based on Captain America, Iron Man, and Black Widow. It encourages women to "Be A Hero". This collection will offer more than 30 pieces including tanks, sports bras and leggings available in sizes XS - XL and 1X-3X. Marvel is also launching @StyledByMarvel on Instagram where fans can browse the latest Marvel styles. 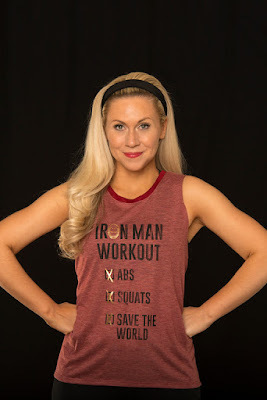 They have also launched a workout video featuring Ashley Eckstein and Heidi Moneymaker, stunt double for "Black Widow", which features cool workout moves inspired by three Avengers: Captain America, Iron Man, and Black Widow. 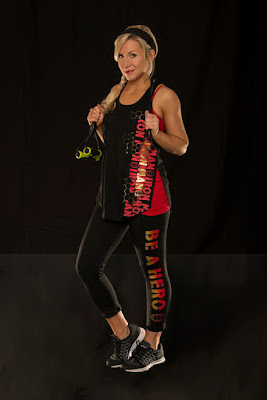 Check out the video below and click here to get a deal on some of the "Be A Hero" collection now available at Kohls!! From the brand beyond yoga, I have bought the leggings in patterns and the tank tops at really affordable price. I must say that it was my first online purchase and they truly fit perfectly to me. Everything about these is good, from design to colors as well as flexibility.